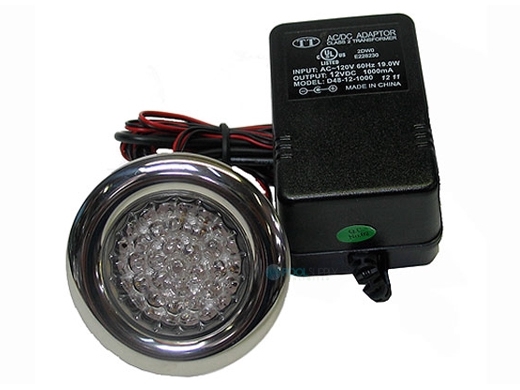 Complete Light Assembly with A/C - D/C 110V Plug Nema Plug and Class 2 Transformer. i have a concrete in the ground jacuzzi type pool and want to replace the light for LED colored changing one. What do I need to get, the bulb?, the whole housing, etc.? ?